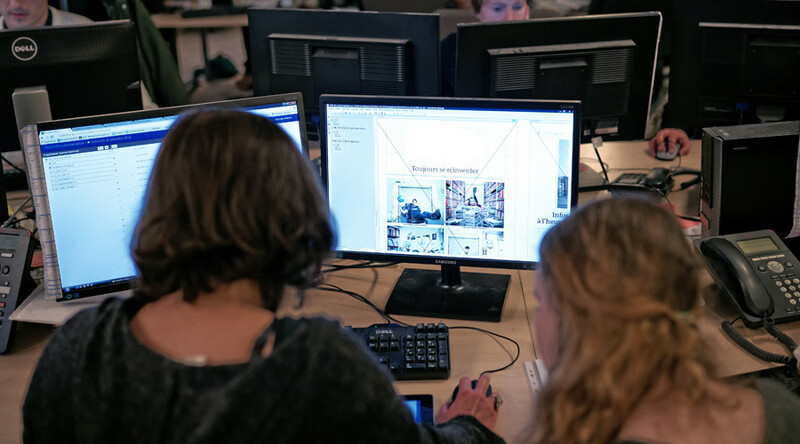 A ‘war photographer’ recently exposed as nothing more than an elaborate phoney is the latest in a long line of fabricators from the news media to hoodwink their employers and the public. Before fake news became the overused buzzword of our time, stories of fake reporters and photographs were nothing new. 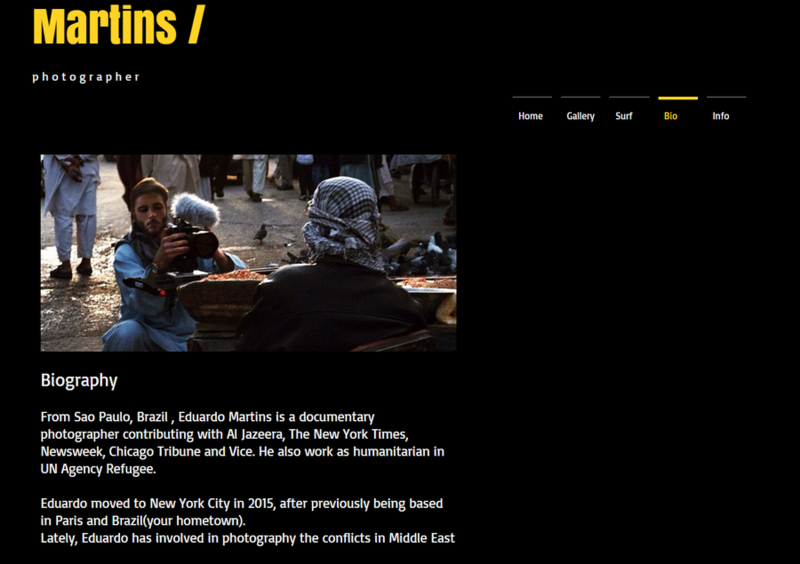 A man going by the name of Eduardo Martins made a name for himself as a war photographer over the past three years. His work was featured on al Jazeera, BBC, Deutsche Welle, the Wall Street Journal and Getty images. Martins posed as a United Nations humanitarian photographer, presenting images from Syria, Iraq and Palestine. His Instagram racked up more than 120,000 followers, including the UN and other photographers before it was deleted at the end of August. Martins stole other photographers’ work, inverting and retouching them to make them appear different. He used photographs of surfer Max Hepworth-Povey for his profile images, and even photoshopped them into images he said were taken in war zones. When Martins was warned people were questioning his story, he erased his account and website. He told an online friend he was in Australia and was going to “spend a year in a van,” and was conveniently going offline too. Martins’ true identify is still not known. Janet Leslie Cooke is the only journalist to have returned the Pulitzer Prize. The former Washington Post journalist wrote a story in 1980 about an eight-year-old heroin addict. The story led to a search for the boy, which was eventually called off when it was revealed that the story was a hoax. Cooke, who also embellished her resume, said that she had been told there was an eight year old being treated at a clinic, but when she couldn’t find him, she made up the “little boy with sandy hair, velvety brown eyes and needle marks freckling the baby-smooth skin of his thin brown arms." The New Republic and Rolling Stone reporter was exposed in 1998 as having invented countless quotes, sources and events in his reporting. The story that brought his lies to light was that of ‘Hack Heaven,’ about a software firm hiring a teenage hacker who then tried to extort money from the company. The New Republic subsequently determined that at least 27 of the 41 articles Glass wrote for the magazine contained fabricated material. Glass was also adept at creating further fabrications to back up his original fictional stories, like creating a website for the software company. He also got his brother to act as a source when investigators began looking into him. Glass later said that he repaid the New Republic, Rolling Stone and Policy Review $200,000. NBC news anchor Brian Williams became embroiled in scandal when it emerged that he had lied about events that occurred when he was covering the Iraq war in 2003. Williams claimed when in Iraq, his military helicopter had been forced down after it was hit with an RPG. An engineer on board one of the three helicopters, Lance Reynolds, later contradicted Williams’ story. He said his helicopter was forced to the ground, but Williams’ helicopter didn’t arrive in the area for another half an hour. Williams was found to have repeated his less-than-accurate account on a number of occasions. He was also accused of embellishing facts in his reports about the Tahrir Square protests in Cairo in 2011. Williams was suspended for six months in 2015 and was later demoted from his spot on the nightly news. He is now an anchor on MSNBC, which is also owned by Comcast. Former New York Times journalist Jayson Blair was forced to resign in 2003 after it was discovered he had plagiarised and fabricated some of his stories. During his four years at the Times, Blair wrote articles claiming to have been written in Texas and other states when in fact he was nowhere near those locations. He made up comments and created scenes that didn’t take place. “In the final months the audacity of the deceptions grew by the week, suggesting the work of a troubled young man veering toward professional self-destruction,” the Times reported after he had resigned.